If you’re looking for an eye doctor in Pickerington, Ohio the team at Pickerington Eye Care are the ones you can trust. 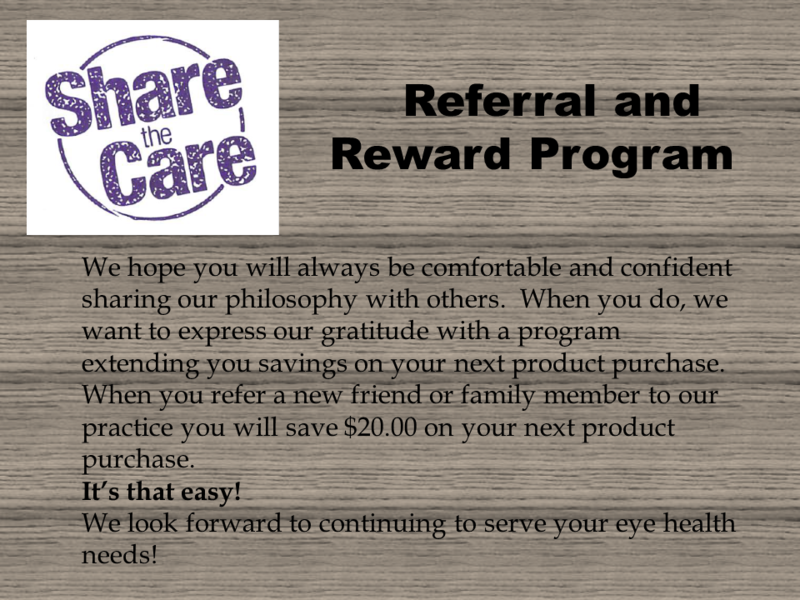 We provide the highest quality eye care and eye exams for the entire family. Our practice proudly serves the Pickerington, Ohio area with a tradition of quality service and a friendly staff. Our Doctors take great pride in offering every patient the absolute best in vision care – whether through fitting eyeglasses or contact lenses, diagnosing cataracts, glaucoma, and other eye diseases, or recommending LASIK and other eye surgery procedures. Come visit us soon! *Closed daily for lunch 12:00 – 1:00. **If you arrive more than 10 minutes late for your appointment, we may ask you to reschedule. ***Closed the first Wednesday of every month between 12:00 and 2:00 for continuing staff education. Log into your account and order! Registration is just a simply click away! Log into your VSP account!